The elder statesman of our Utilikilt line, the Original is lightweight, comfortable and comes with deep and functional side saddle cargo pockets. 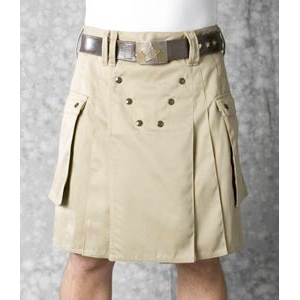 The Original is our simplest, most practical and most affordable Utilikilt. The Original is the Utilikilt that started it all - the garment our founder, Steven Villegas, invented back in 2000 to start a worldwide un-bifurcated revolution. The Original features the wrap-around “Neo-Traditional” closure with our trademark 6-snaps, two deep, free-hanging side saddle cargo pockets, and a single-welt back pocket with the horizontal Utilikilts logo stitched above it.The Original’s Neo-Traditional allows for ample coverage in front. The overlapping apron allows you to unsnap the waistband snaps without exposing any curious bits (while wearing a belt, of course). That means you can wear this baby to Thanksgiving dinner without fear of “busting out” in front of the family. 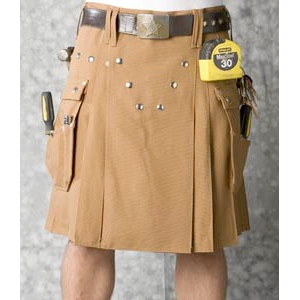 Like all Utilikilts, the Original is wrapped around your body and snapped closed. Take it off and it lays completely flat. The Original’s 8.5 oz. 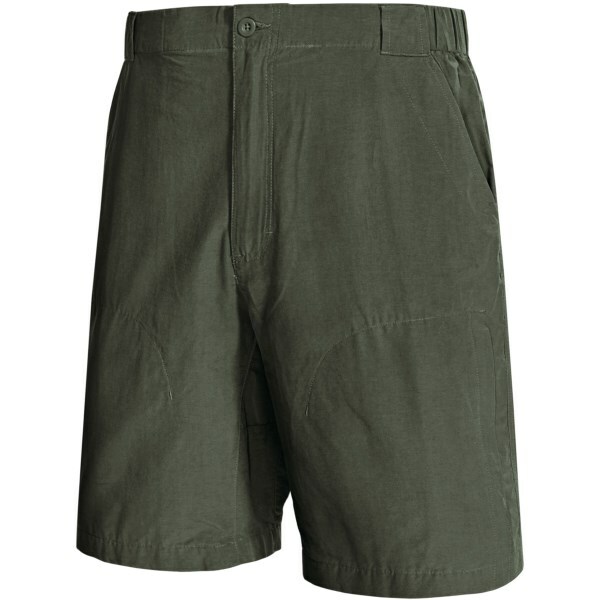 cotton-poly twill fabric resists wear, shrinkage and wrinkles, and breathes well. It’s perfect for summer. 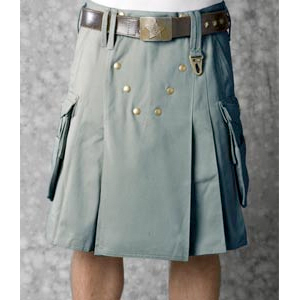 For winter wear, you might want to check out the Leather Utilikilt. If you’re man enough, that is. 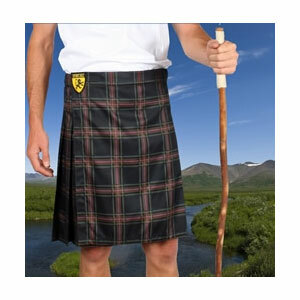 The Utilikilts Original is not available from the stores we monitor.